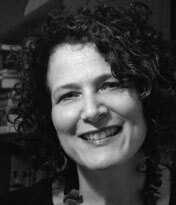 Join Sharon Pucker Rivo, Executive Director of The National Center for Jewish Film, for a peek into the archive vaults. Attendees will view clips of rare films from the Center’s collections that document the diversity and vibrancy of Jewish life in Eastern and Central Europe between the Wars. Sharon Pucker Rivo, Executive Director and Co-Founder of The National Center for Jewish Film, has been a leading force in the field of Jewish film and culture for more than three decades through her work as a curator, programmer, archivist, film distributor, film and television producer, and academic. In the mid-1970s Sharon and NCJF co-founder Miriam Krant rescued a languishing collection of Yiddish-language feature films. Today, the Center is the largest archive of Jewish-content film in the world, outside of Israel. Join JGSGB member Leora Tec as she presents the story of the serendipitous journey to her own Polish identity. 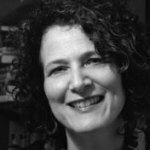 As the founder and director of Bridge To Poland (BTP), Leora Tec creates immersive intellectual and cultural experiences in Poland that examine the history of the Jews in Poland and how Christian Poles today are commemorating that history. Leora holds a BA from Wellesley College and a JD/LLM from Duke University School of Law. In addition to her work for BTP she writes and speaks publicly about many topics including her own experiences with Polish and Jewish identity.